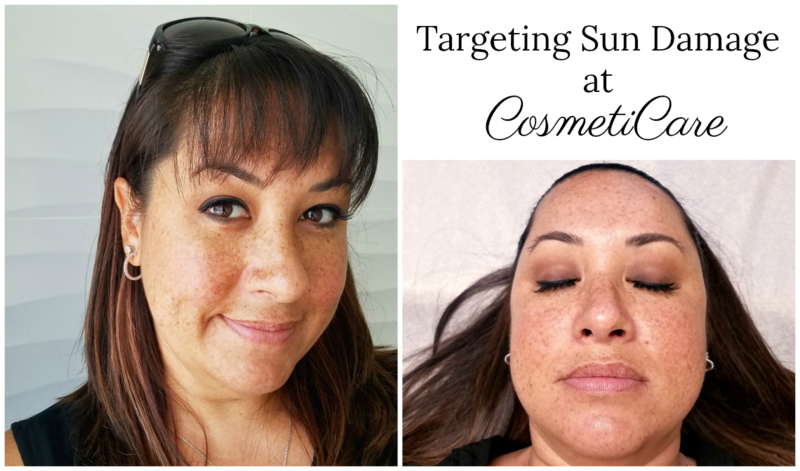 “Targeting Sun Damage with an IPL CosmetiCare” – A sponsored post written by me (a CosmetiCare Ambassador) on behalf of CosmetiCare. As I get older, I have noticed a larger number of dark spots on my complexion. Known as sun spots, or age spots, they have been getting darker and darker, the more I am exposed to the sun. 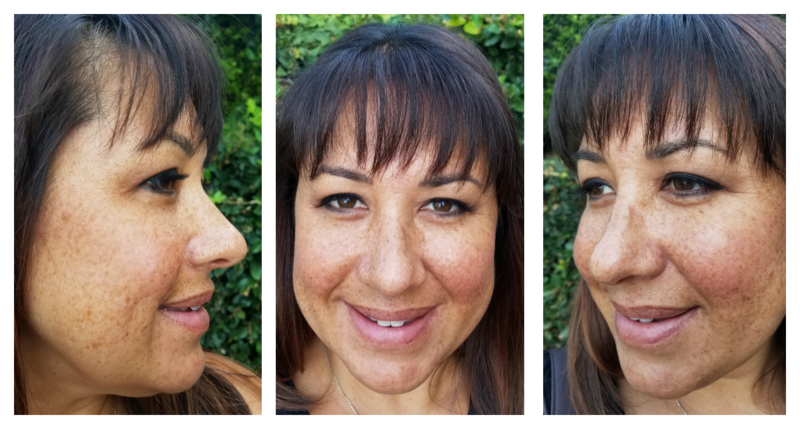 As a child, I was not a fan of my freckles, so I wanted to start wearing makeup at a young age to hide them. Naturally, the addition of age spots has me more interested in correcting the damage of the sun. Recently I spoke with Dr. Von Maur and Tannaz, a laser specialist at CosmetiCare who suggested an IPL at my last consultation. Added collagen near the surface of the skin to improve texture. When undergoing an IPL treatment, a laser technician uses a hand-held device, controlled by a computer, to deliver an intense pulse of filtered light to the targeted area of the skin. This light is a broad spectrum of light with interchangeable filters that treats a number of different conditions like evening skin tone, lightening age spots or small blood vessels and even reduce hair and coloring for dark hair follicles. Not all skin types are good candidates for the IPL. Typically, IPL treatments are more effective on people with light, unmanned skin. Individuals with tanned or naturally dark skin could have issues with their skin pigment changing after treatment. IPL. Therefore, it is always a good idea to consult with a Board Certified Plastic Surgeon, which is why I spoke with Dr. Von Maur at CosmetiCare. After discussing my options with Dr. Von Maur and Tannaz, we decided to try the treatment on a couple of sections of my skin, to make sure there wasn’t any alteration of my skin pigment. Stay tuned to see what happened during my IPL treatment.